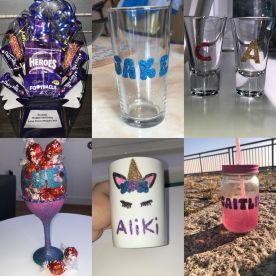 Welcome to Makes Caitlin's Creations, we make hand-made personalised gifts for friends and family members. 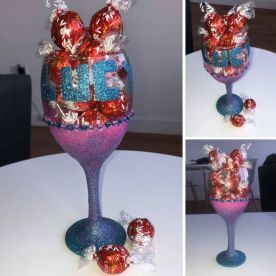 We are able to make a large range of personalised gifts, for instance, we are known for our glittery wine glasses! Why not get in touch with us via email or on the phone on 07447922572. All our gifts come with a load of sweet treats. Just look at our photos to see for yourself. 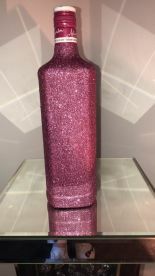 The beauty of personalised gifts is that no matter the event or occasion, we can tailor the gift to the recipient. Contact us today to get something memorable! Got a present from Caitlin recently and she made it herself, fab quality and fab to look at. Definitely recommend for anyone who wants personalised gifts!! Please note that Caitlin's Creations may not be able to honour booking requests made.